You know and love Deep Cleansing Oil for the effortless way it removes makeup, sebum, sunscreen and grime, leaving you with beautifully balanced skin. This cleansing oil is so popular today that we sell one every 10 seconds worldwide! But before it was a worldwide hit, Deep Cleansing Oil started as a simple idea to upgrade a beauty world favorite: cold cream. In the 1970s, DHC discovered the power of olives and created our very first product, Olive Virgin Oil, in 1980. This 100% organic olive oil, prized for its antioxidant and moisturizing qualities, became the basis for many DHC products to come, including our beloved Deep Cleansing Oil. Invented in 1995, Deep Cleansing Oil was inspired by traditional cold creams used to remove makeup. Because DHC’s olive oil was already in so many products, it felt only natural to create a makeup remover based in it. In addition, olive oil is a very effective plant-based oil, representing an upgrade over traditional cold creams, which are made with mineral oil. 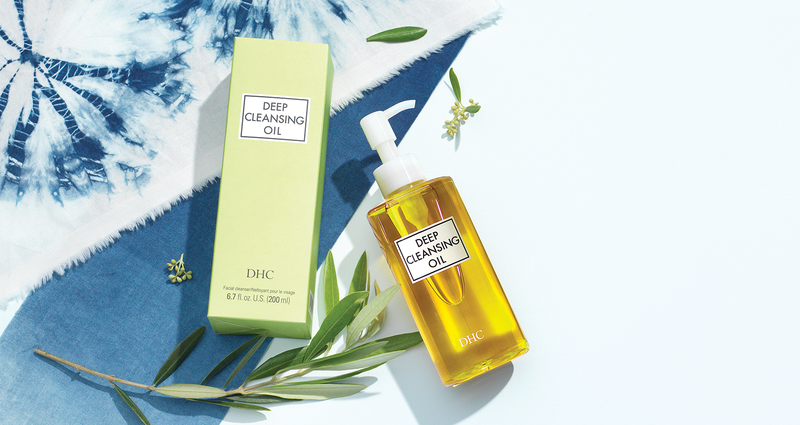 The initial idea of Deep Cleansing Oil stayed true to DHC being at the intersection of innovation, botanicals and Japanese tradition. With the popularity of cold creams, it was an exciting feat for DHC to create a better makeup remover that was based in olive oil instead of mineral oil. The question then became, how would DHC create an olive oil-based cleanser that grips onto dirt and grime, then emulsifies away with water? Because of the robust experience of DHC’s scientists, it didn’t take long to develop the formula; the challenge actually came in testing the stability of this product.